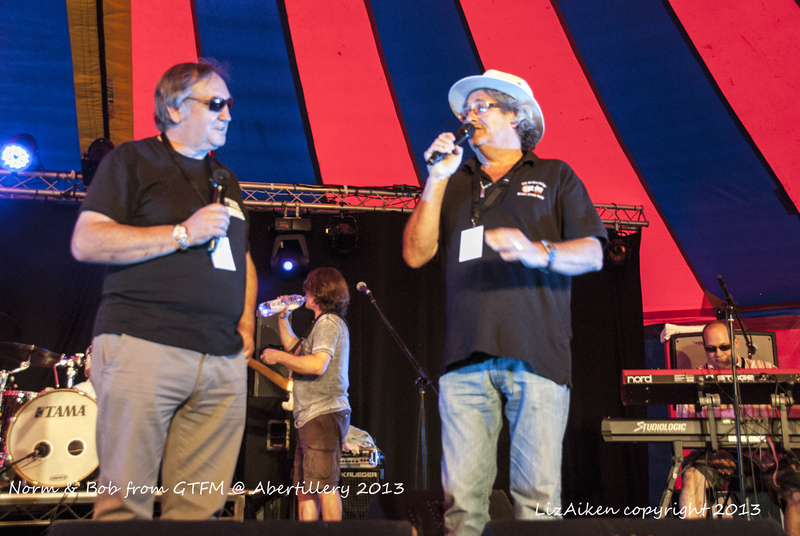 On a very warm Summer’s evening, the 9th Abertillery Blues Festival was officially opened with Bob & Norm from GTFM Bluesshow announcing the first act of the weekend, Mick Pini Band. As ever Mick delivered a display of quality blues guitar playing, this was no blues power trio it was a quartet of fine musicians with Jools Grudgins playing quality keys that blend, inspire and added depth to the sound and a very solid rhythm section, Drums and Bass. A highlight was Mick’s rendition of ‘Catfish Blues‘ giving it a funky edge with great guitar licks and superb key playing by Jules. This was a band that understood each other and they bounced of each other perfectly forming a complete unit delivering a rocky guitar driven blues sound that was perfect to get the festival up and going with an enjoyable act with a set of great blues standards given the distinctive “Pini” treatment including ‘All Along The Watchtower‘ and ‘West Side Blues‘. Abertillery 2013 was up and running at a high-speed and quality from the off. Then the stage was taken over by the ebullient character Vincent Flatts with his own take on Southern Rock, this may not be the blues but boy was it fun on a hot summers evening as he entertained the crowd with a combination of hard-hitting riffs and clear vocals delivering a bourbon-infused combination of tunes from their latest album and a wide range of artists. This got the crowd dancing and foot stomping, Vincent Flatts heard the sound of a Saxophone off-stage in the crowd and invited him on stage, this was a surreal first for Abertillery as an unknown guest musician from the crowd joined the act on stage and jammed as they did a number or two, this was no set up the band didn’t know him and having played a couple of tunes he left the stage. This was a great set – how can other bands follow the high-octane, bourbon fuelled act that is Vincent Flatts. With a brief break that gave the crowd time to fill our glasses and enjoy the cooling night air that seemed to have invited every gnat in Wales to come and enjoy the musical vibe! 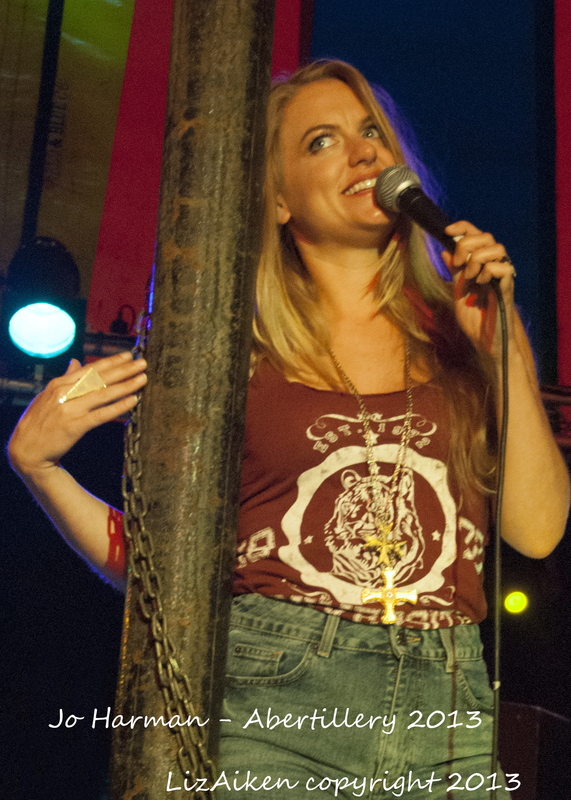 The next band, Jo Harman and Company has been receiving a lot of positive publicity regarding her latest CD “Dirt On My Tongue”. This was her first live performance in Wales so expectation was high. The Company are a tightly formed mix of musicians who provide Jo with the musical foundation so that her voice can soar into the rafters at any location. Jo has a powerful voice which takes you on an emotional journey of hopes and loss, love and tears. The Bobby Blues Bland number ‘Ain’t No Love‘ was a great choice and a fitting tribute to the great bluesman himself and she thoroughly enjoyed the impromptu singing as much as we did listening to her. The great licks provided by Scott McKeon, whose guitar skills are without doubt a little bit special whilst on the bass Phil Mulford’s skills added interest to each and every number also in the Company was Steve Watts on drums and Martin Johnson on keys. Jo Harman leads the band and they interact with her creating a very special bond which shows through as they play to please the crowd and not to build up their own egos. The set was populated with numbers from her excellent CD proving she can perform live as well as in the studio, in fact the live sound as ever added a little bit extra it had an edgier less polished feel, making them classier. Mud Morganfield with his backing band that are a talented group that deliver time and time again with tight playing and perfect timing and rhythm. The band consists of Mike Hellier (Drums); Double Bass; Ian Jennings, Blues harps-man Steve West Weston, guitar ? And Keys?. Together they delivered yet again at Abertillery scintillating authentic Chicago blues. 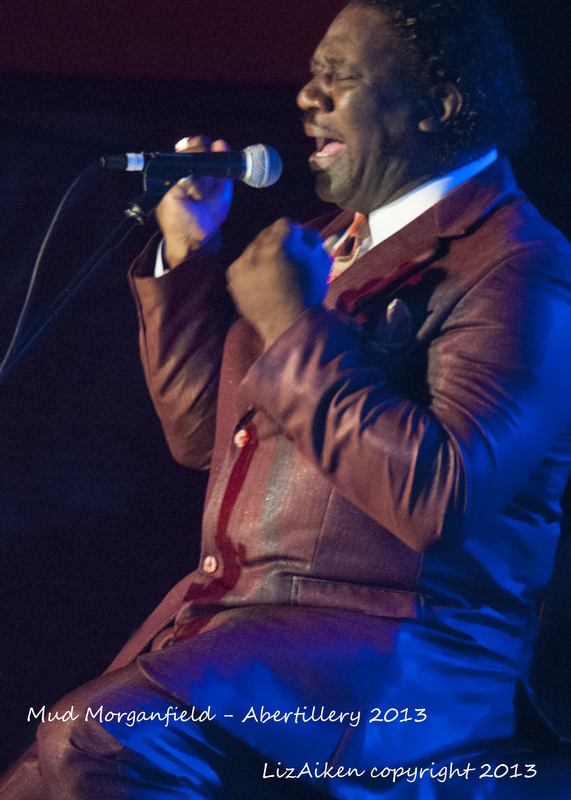 Mud sings with a clarity stripping back the vocals so that the legacy of his father Muddy Morganfield shines through with clarity. 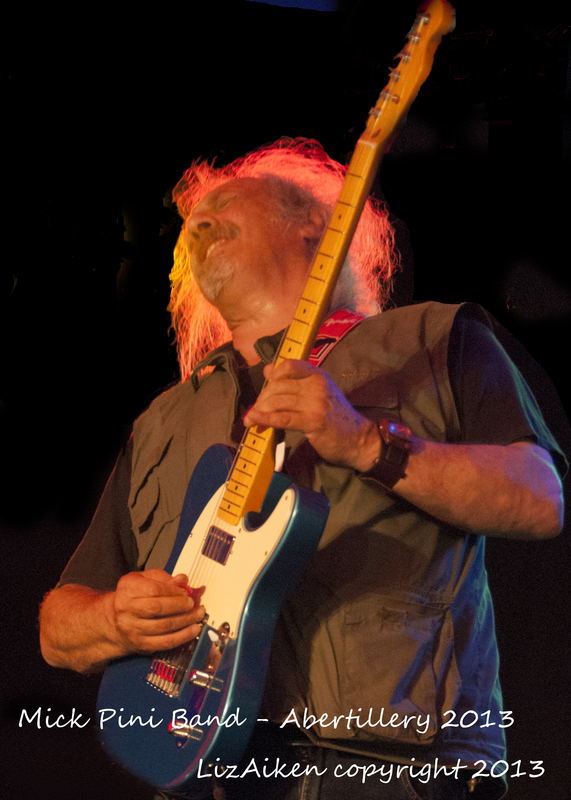 The song that summed the set up was ‘The Son of The Seventh Son‘; no wonder he has been nominated in four categories of the Living Blues Awards. No one can have any complaints about the quality of the blues delivered by Mud and his friends. His performance delighted a delirious crowd as some great Muddy waters standards were sung across the marquee and beyond with the ghost of Muddy Waters echoing the words back from the Welsh hillsides.